Capri town and Anacapri both boast spectacular views. Photo from Monte Solaro in Anacapri. 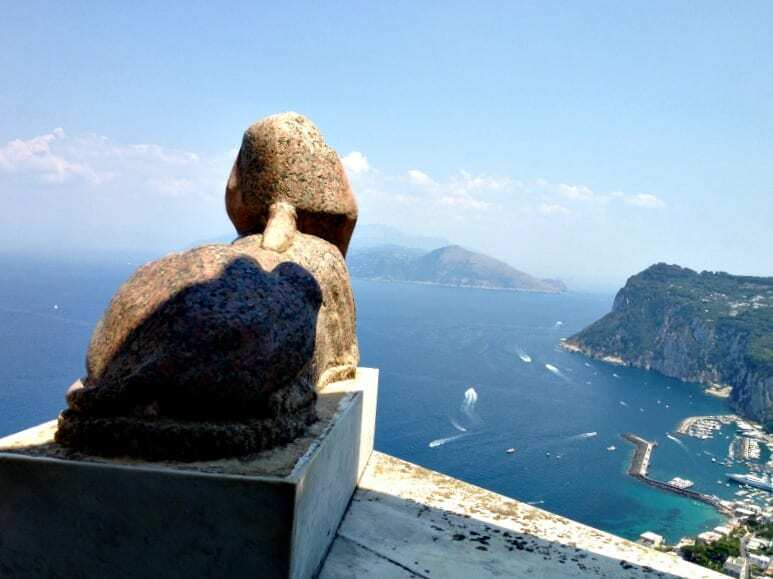 Both Capri town and Anacapri boast spectacular views. Photo from Monte Solaro in Anacapri. The island of Capri boasts not one, but two, beautiful towns: Capri and Anacapri. While you’ll be able to visit both towns during your time in Capri, each one has a different character—so especially if you’re deciding where to stay on Capri, it’s important to know the differences between them. 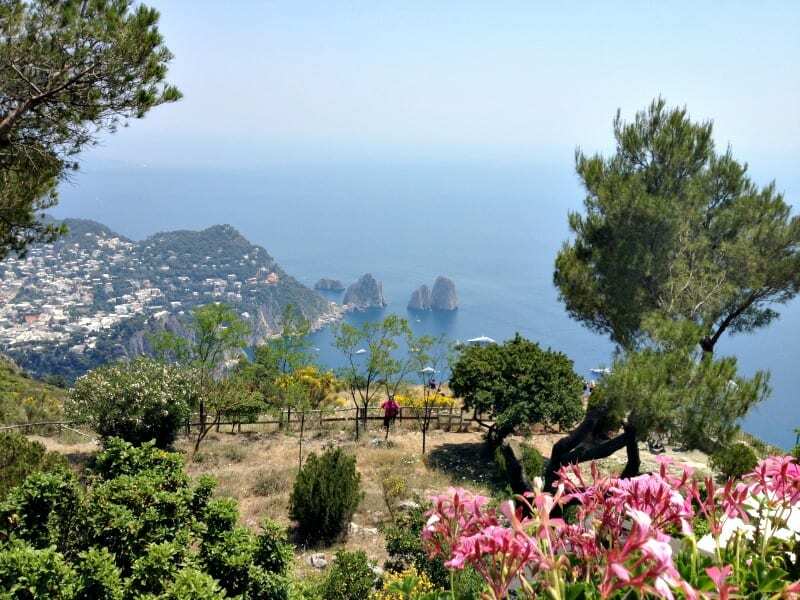 So Capri… or Anacapri? Here’s a guide to help you decide! (And don’t miss our post on what to do in Capri if you’re there for a day trip!). 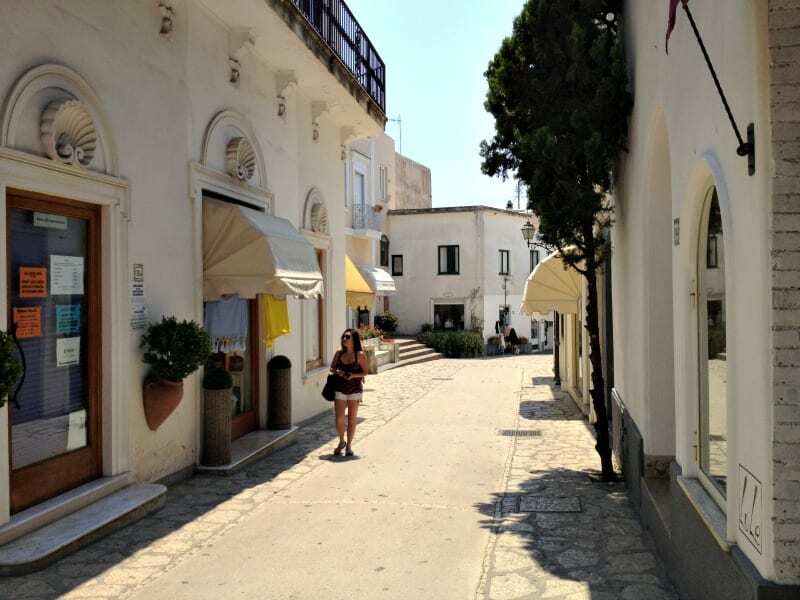 Both towns get crowded during summer, but Anacapri certainly has a more tranquil feel. The streets in Capri town are constantly vibrant, but you’ll find plenty of quiet alleys in Anacapri. Of course, that’s no surprise: Capri town is closer to Marina Grande, where ferries dock, so most visitors will make their way to the charming piazzetta or hang around the town prior to their departure. From the top of Monte Solaro, the highest point on the island, you have striking, 360-degree views of the island. The summit can be reached either on foot or (for a fee) by taking the chairlift. Another spot for great views in Anacapri is Villa San Michele. That said, Capri town does have some stunning views, too. From the Gardens of Augustus, you also have a fabulous view of the iconic Faraglioni rocks. And from Villa Jovis, a Roman villa perched above the town, you can take in the entire view of the entire Bay of Naples, as well as Ischia and Procida! (Don’t miss our post on 5 of the most beautiful islands in Italy!). In Anacapri, the walking trail to Monte Solaro, which takes about an hour, starts close to Villa San Michele. (You can’t miss it, as you’ll see a sign for Monte Solaro). 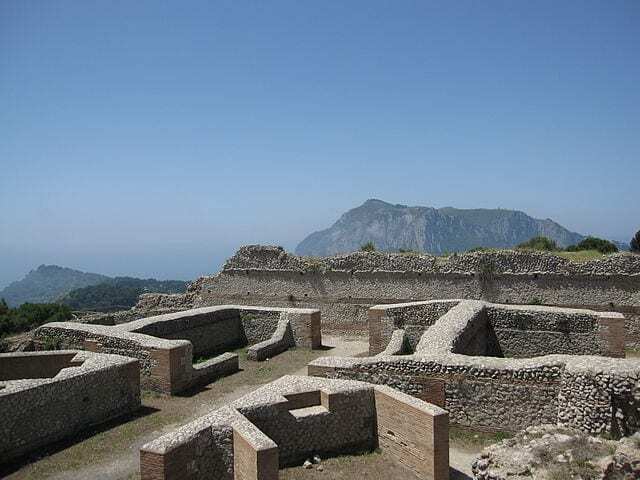 Another fantastic walk in Anacapri is along Via del Migliara, a route that dates back to Roman times; today, it winds past vineyards and orchards. Only about a kilometer long, it’s a pleasant stroll where at the end of the route, you will be treated to a fantastic view overlooking the southern coastline. 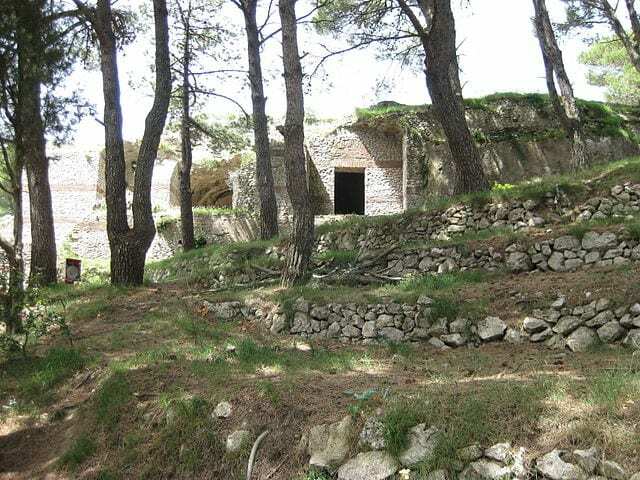 From there, you can even take the path to Torre del Guardia, an ancient watch tower. To truly get off the beaten path, the Sentiero dei Fortini (or “Trail of Forts”) in Anacapri runs along the western coastline, starting from the Blue Grotto and heading to the Punta Carena Lighthouse. It’s perfect for those who want to experience the “wilder” side of the island! Capri town also boasts a stunning coastal walk, known as the Pizzolungo, that takes you to Punta Tragara, bringing you up close to the Faraglioni rocks. Though more challenging, another option is the steep uphill walk to Villa Jovis, which takes about 40 minutes from the piazzetta in Capri. Along the way, you will pass some beautifully-kept homes with gorgeous verdant gardens—and, of course,when you get to the top, the view is amazing! Are Roman ruins your thing? Then don’t miss Villa Jovis, in Capri town. It’s one of the twelve villas built on the island by Emperor Tiberius in the 1st century AD. Because it’s so well-preserved, it’s easy to grasp the villa’s grandeur: Spanning more than 7,000 square meters (2 acres) and built on several levels, it once housed thermal baths, servant accommodations, and official function rooms. Looking for a more verdant landscape? The lovely garden at Villa San Michele in Anacapri won’t disappoint. Considered one of the finest gardens in Italy, it not only boasts stunning views, but a serene and well-kept garden overflowing with flowers! If you’re coming to the Capri for long stretches of sandy beach… prepare for disappointment! The beaches on the island are either pebbled, or solid rock. Many beach-goers adore Capri anyhow. That’s because both Capri town and Anacapri are home to fabulous beach clubs that sit at the edge of the crystal-clear, turquoise waters. These beach clubs are well-equipped with sun decks, and often have fabulous restaurants, too—all making for an unforgettable day by the sea. One of the most popular spots among locals is Lido di Faro, on Anacapri, where you get the sun the entire day. This exclusive beach club even boasts a seawater swimming pool, plus is renowned for their acclaimed restaurant. In Capri town, you have some equally glamorous clubs, especially in Marina Piccola, which can be easily reached by walking down Via Krupp. The most famous, La Canzone del Mare, attracts many high-profile visitors; it also offers some luxurious suites. While many of these private beach clubs come at a price, Capri town has some free beaches, too. One is in Marina Grande, close to where the ferries dock. The water is incredibly clear, but it can be extremely packed. At Marina Piccola, you’ll also find free beaches on either side of the Siren’s Rock. As a destination for the rich and famous, Capri has a wide array of high-end fashion stores. On Capri town’s Via Camerelle, you’ll find that practically every fashion house has a store! For people-watching, there is no better place than Piazza Umberto I, also better known as the “piazzetta” (little piazza), in Capri town. The heart of Capri’s social scene, this small yet charming square, lined with cafes and restaurants, bustles throughout the day and night! 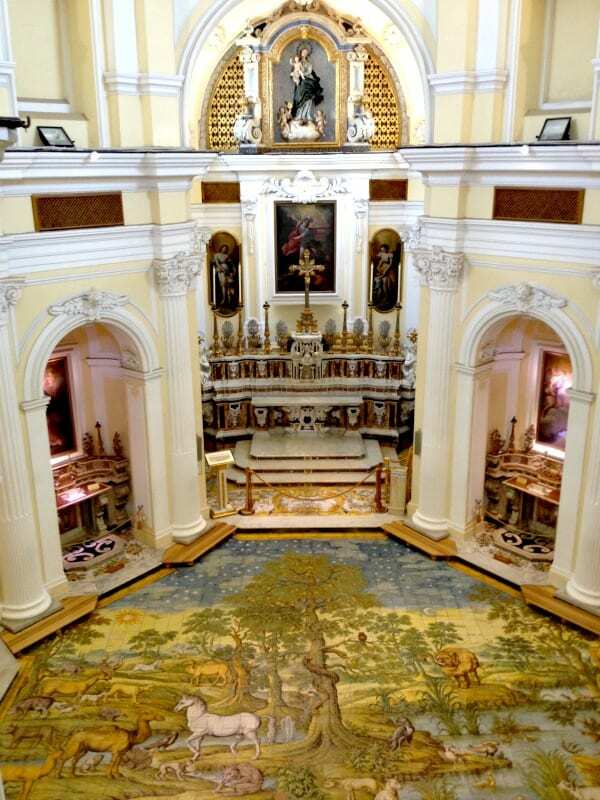 For a beautiful (but quieter) sight, duck into the Church of San Michele in Anacapri. The church boasts a spectacular 12th-century, hand-painted mosaic floor depicting the story of expulsion of Adam and Eve from the Garden of Eden. Jonesing for a sweet treat? Gelato at Buonocore in Capri town is an all-time favorite. But don’t miss the torta caprese at Pasticceria Ferraro in Anacapri, either. Have you been to Capri? Which town did you prefer? Tell us in the comments! I’ve been to Capri the last two summers and each time we’ve stayed at Hotel Weber Ambassador, sitting on the cliffside above Marina Piccola. They have two pools and towels and mats for the beach. Plus, free shuttle service to and from Capri town. We took the public bus to Anacapri…not for the faint of heart on those curving, cliffside roads! Capri is amazing, but full of tourists! The gelato from Buonocore is fantastic as mentioned in the article! They make the cones while you’re in line! And, Capri is a great place to get a pair of custom made sandals! I really enjoyed the town of Capri the most but Anacapri is not a disappointment at all. I was fortunate enough to see both towns. Capri a couple of years ago and Anacapri this year. Capri was lively and we found strolling around the island away from the piazza incredibly beautiful. A stone throw away from the piazza is a very busy little hot table/tavola calddo with really great food, deserts, drinks and coffee. Venture away from the busy town and see the island it is fabulous. You will melt when you see the beautiful homes all through the streets. The history of the island is very interesting especially about the two towns not getting along many years ago. There was a heatwave in September so we ventured down via Krupp to a private beach to swim and chill out. Next time I want to do some hiking and take the boat around the island where the view will be outstanding. This experience will stay in my heart forever. Just came back from Amalfi coast, I also visited Capri and Anacapri – thank you for useful information! Looking for help on the best way to get from Cinque Terre to Capri. 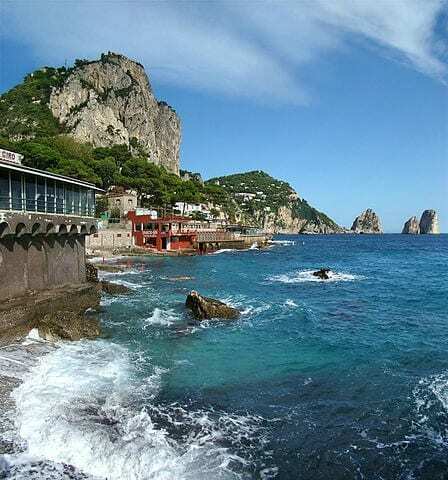 Which town has the fastests route to Capri, Naples, or another coastal city? We find this website really helpful as a starting point to planning our routes: http://www.rome2rio.com/ Let us know if you have any other questions and have a great trip! Good info. Planning to be there in June. Taking a boat tour from Positano, with a 3-4 hr stop over. Where would you recommend a must-see while there, in such a short time? Regards. Why not cruise the coast of Sorrento & Capri aboard a modern gozzo boat, stopping to snorkel & swim and touring the famous grottos before 4 hours on land in Capri on our expertly-guided day trip to the island!